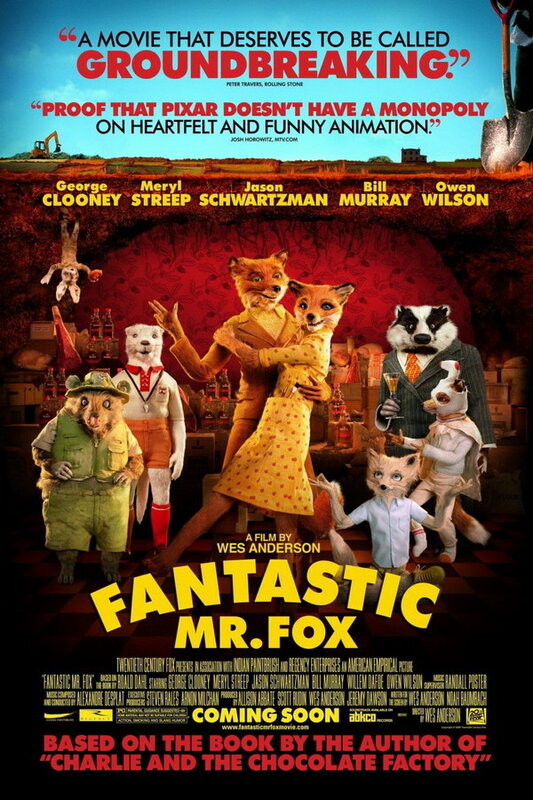 Fantastic Mr. Fox font here refers to the font used in the poster of Fantastic Mr. Fox, which is a 2009 American stop-motion animated family comedy movie based on the children’s novel of the same name by Roald Dahl. The movie title in the poster is probably set in Futura Extra Bold by Paul Renner. Futura is a commercial font and you can view more details about it here. In addition to Fantastic Mr. Fox, Futura typeface is also used in the following logos, movie posters or album covers etc., including: Curiosity, V for Vendetta, Pure Heroine, Resistance Fall of Man, The Love Boat, Zodiac, Bee Movie, People Like Us, Github, Hulu, Sleeping Beauty, Ninja Assassin, 2001 A Space Odyssey, The Vow, A Little Faster.